These coming weeks Noora and I are premiering our new concert program, including the cycle “Frauenliebe- und Leben” by Robert Schumann. 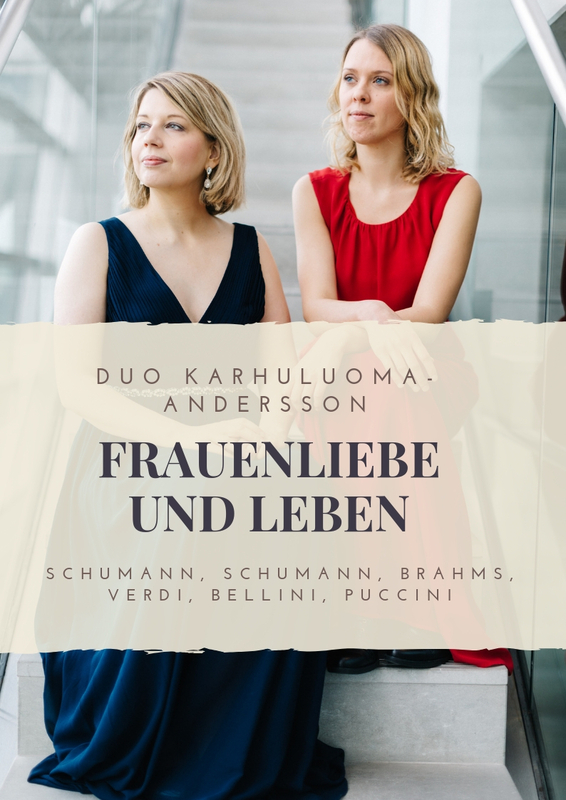 It’s been really great to work with this music, since we started it during the masterclass with Helmut Deutsch and Bo Skovhus during the summer. The songs fit Noora’s voice very well and it will be exciting to perform the whole cycle soon. 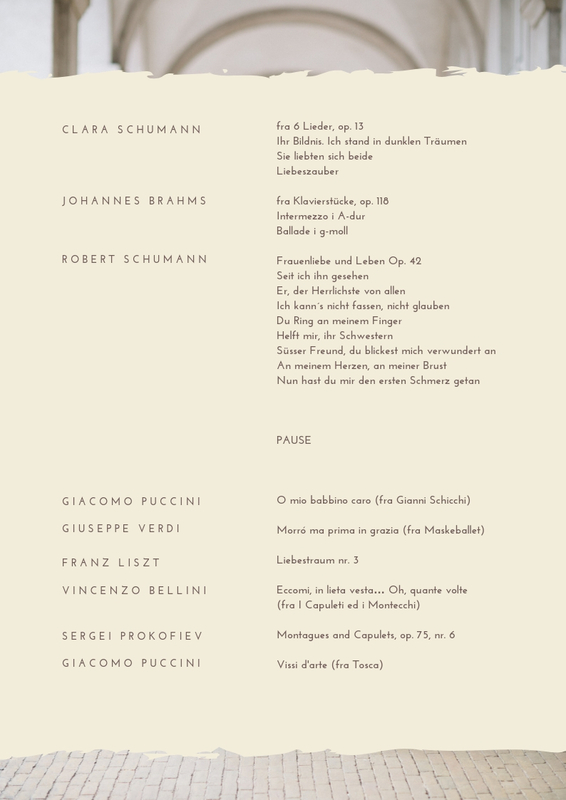 The first part will start with three songs by the 200-year jubilee Clara Schumann, from her op. 13. Then it continues with two intermezzi from Johannes Brahms op. 118, dedicated to her, nr. 2 in A-major and the stormy nr. 3 in g-minor. It ends with Robert Schumann’s cycle “Frauenliebe- und Leben” which he wrote during the time he was trying to convince Clara’s father to let him marry her. Maybe that also affected his choice of poems for this cycle. After the interval we move into the operatic world – with arias by Verdi, Bellini and Puccini. I will also perform Franz Liszt’s Liebestraum nr. 3 and “Montauges and Capulets” from Prokofiev’s piano suite, based on his ballet about Romeo and Julliet. The latter will be combined with Giulietta’s aria from Bellini’s opera “I Capuleti e i Montecchi” based on the same story. Even if the music is written more than 100 years apart, they still tell the same story and go surprisingly well together. We will premiere the first half in Allhelgonakyrkan in Lund on Sunday the 20th of January and the full program will be played for the first time in Skive Kammermusikforening on the 27th of January. Have a look under the concert section to see the tour dates for the rest of the spring.